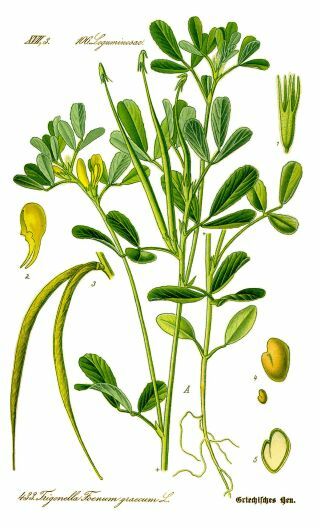 Hake is a significant medicinal plant of the miraculous legume family ( Fabaceae ). It is part of the European Pharmacopoeia and the TCM. The plant, seeds and fresh young plants are used. The content of the substances is alkaloid trigonelin, cinnamic acid, skopoletin and sotolone. A recent overview of the scientific knowledge on the healing properties of this plant is Goyal2016itp . The effect of fingertip anti- diabetes is documented by eg Gaddam2015rfp . According to an overview of possible negative effects of Ouzir2016tpf, it is unsuitable to use this herb in pregnancy.